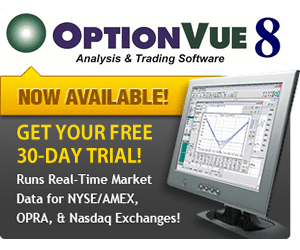 OptionVue Systems and Aeromir Corporation have arranged a 30-day free trial of OptionVue 8 software. We use this software a lot! Sign up for OptionVue 8's Free Trial and we'll send you a 29-minute tutorial video of how to get started using OptionVue 8. NOTE: Submitting this form joins you to our mailing list automatically.